I've never been a huge fan of orange, but it's my husband's favorite color. So I have to admit it's been slowly growing on me. 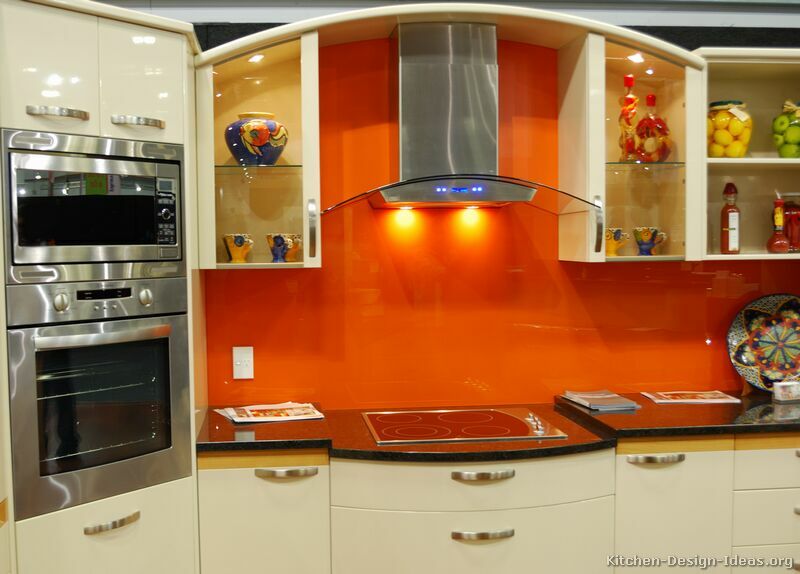 While searching for orange colored kitchens today I was surprised how much I really liked a lot of these rooms. Some shades are so fresh and clean looking.....like in this photo below. 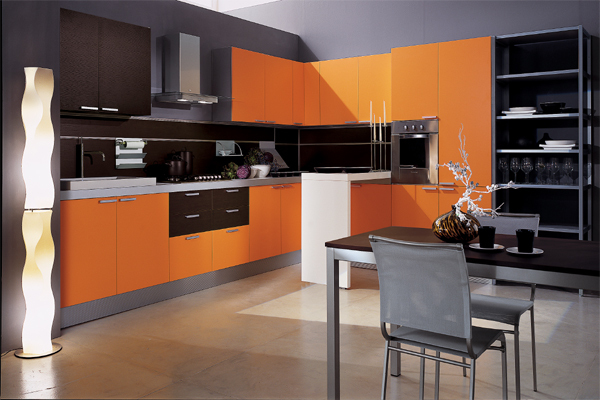 While other shades are really warm and go great with warmer colored wood cabinets. 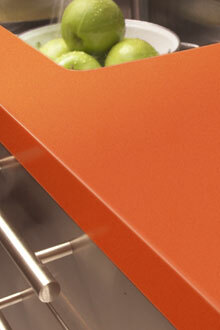 Does anyone remember CaesarStone's orange countertops called Tequila Sunrise? I really liked them, but I understand why the color was discontinued in the US....I can see it not really being a hot seller. 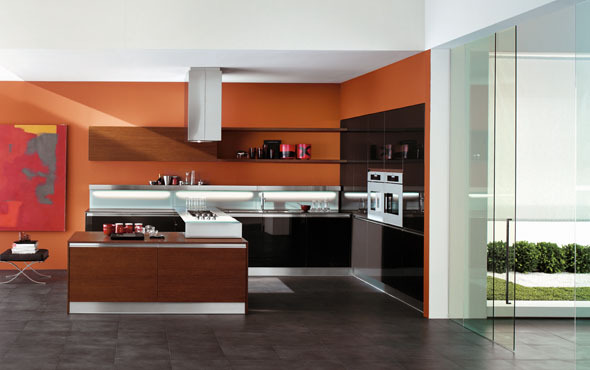 I think this kitchen below would look great with Pebble CaesarStone. So what do you think? 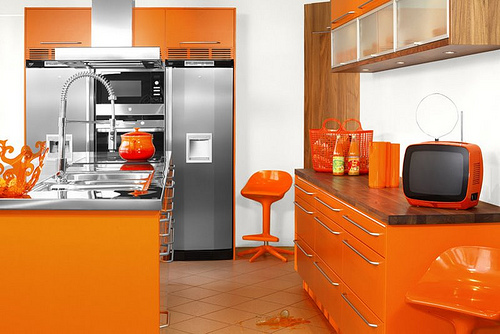 Would you put orange in your kitchen?